Legrand India, a global leader in electrical and digital building infrastructure inaugurated their first voice enabled “state-of-the-art experience centre” Innoval in the tech city Bangalore today. Innoval will host Legrand Group India’s company products – Legrand, Numeric & Valrack. Globally Innoval’s are present at France, Greece, Chile, Brazil, Colombia, Dubai, and made its first-time entry in the Asia Pacific region with its launch in Mumbai, India followed by its successful launch in Ahmedabad, Lucknow. The company is now all set to amaze the Bangalore market with its voice enabled experiential centre launch today. 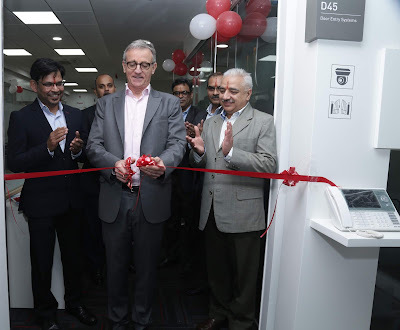 This is the first such showroom in India to be fully automated and voice controlled.